In addition to the opening sequence and other sections of the film we worked on, the directors asked us to develop a concept that we could use for this broadcast montage. 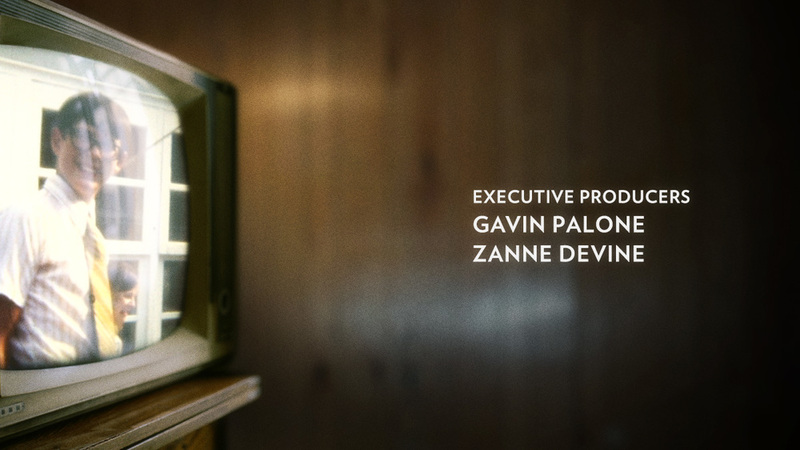 We decided to use one of the two ideas we had pitched for the main title sequence which was to show 8mm footage on vintage televisions in various environments. A sense of nationwide scale was needed in this montage. We had to convey that people all around the country were watching An American Family at the same time. And everything needed to look like 1973. We worked with our friend and collaborator Aaron Becker to develop some style frames for the montage sequence. Once the team signed off on the idea, we set about the ambitious task of putting this sequence together. 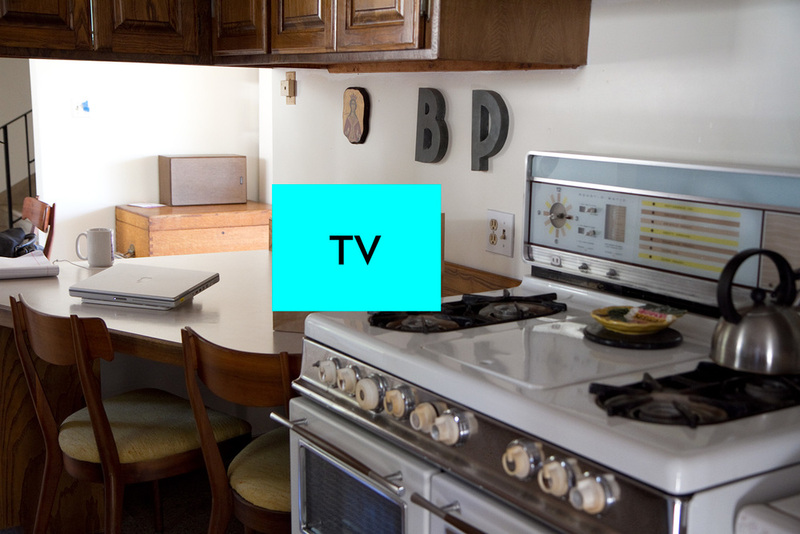 We needed to produce, design, direct and edit a live-action period sequence with as many setups with vintage televisions as possible. Anyone who works in the film business will tell you that a project all comes down to the team. We immediately got a few trusted collaborators involved to work with us on the project. Nathan Matheny came on board as our production designer and prop master. He’s a one-man machine, and was capable of dealing with a variety of physical production challenges. 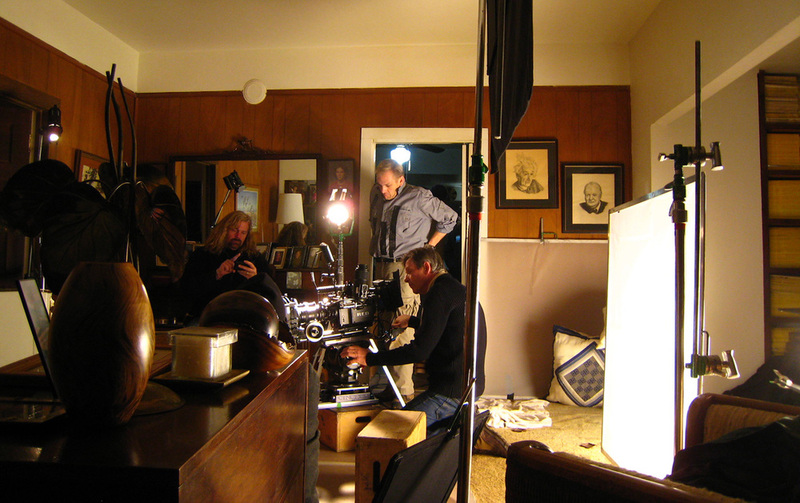 Philip Holahan was our director of photography. He’s a highly experienced DP who Jenny had worked with before in New York. And to help on the producing side of things, we asked our close friend and filmmaker Terence Heuston to lend a hand. Various locations in Auburn, my hometown in northern California. This is where we would shoot all of our exteriors. The diverse locations meant we needed to assemble two crews and arrange for transportation of the gear for the Nor Cal shoot. 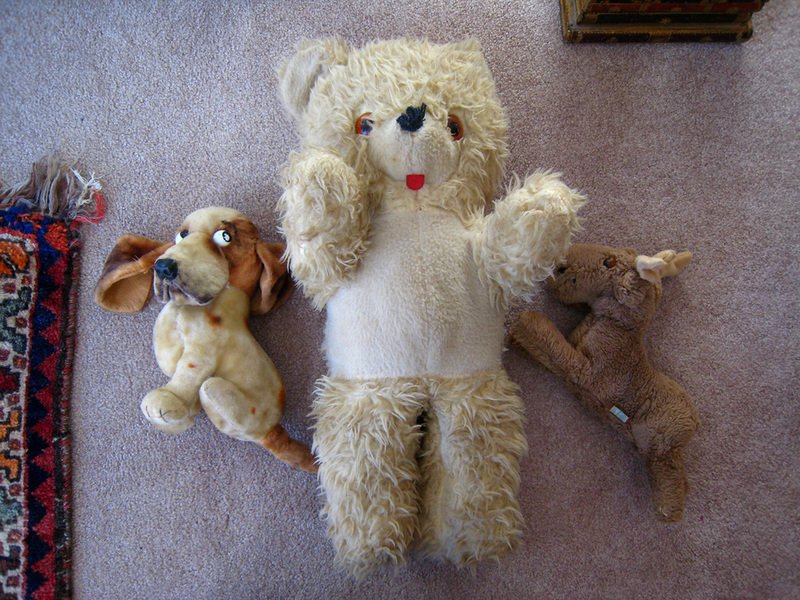 Thankfully the film commissioner in Auburn (Beverly Lewis) found us a local crew to work with to make things simpler. Auburn is a beautiful country town in Placer County with a variety of architectural styles from the 1800s-on, making it attractive for film shoots. We chose one residential street in particular because we were able to simply rotate the camera 180 degrees and get homes that looked like they could be in different parts of America. We knocked off 4 exterior home shots on this one street alone. Placer County feels like a little undiscovered filming location gem. 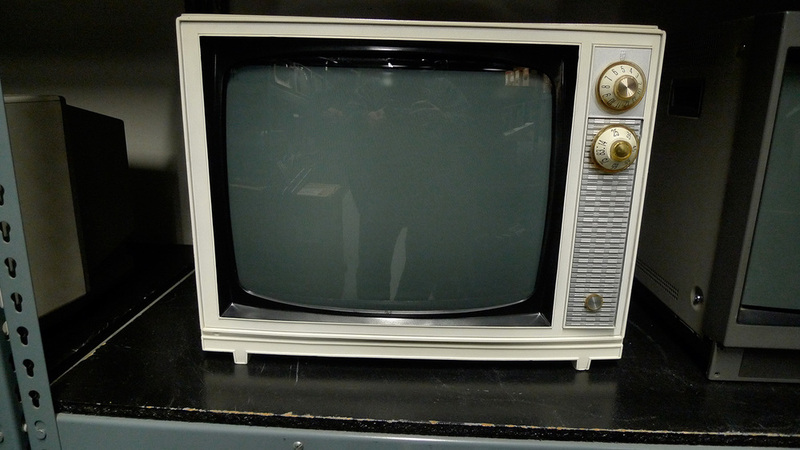 The main challenge was to hunt down over 25 vintage televisions in good condition. We ended up finding a few at prop rental houses and purchasing some online. 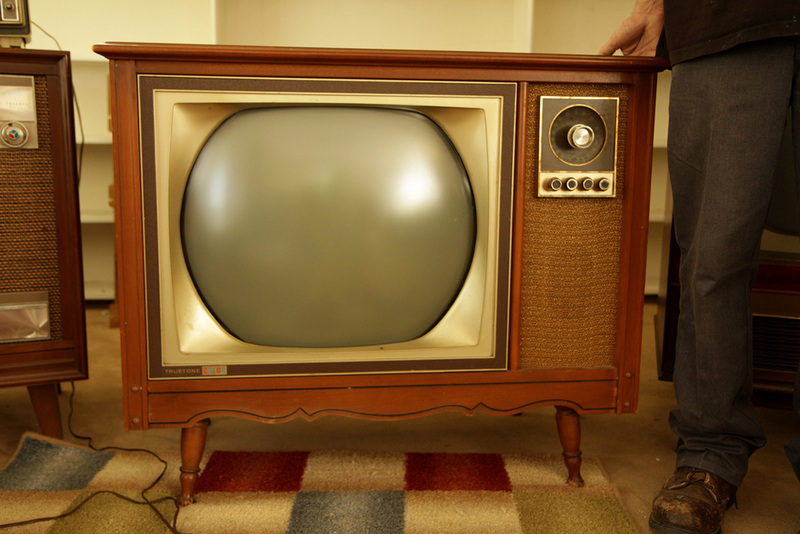 We were incredibly fortunate to find a vintage television collector in Los Angeles who agreed to let us rent several from his private collection. 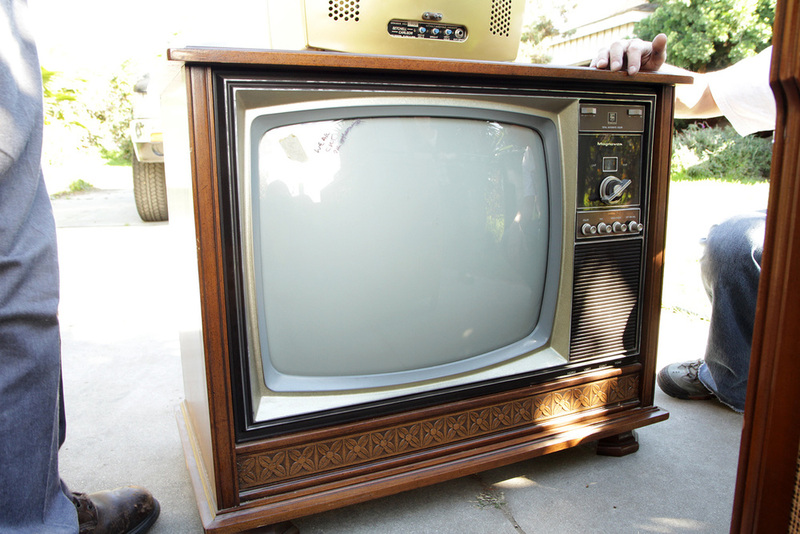 We pulled up to his home with a moving truck and loaded it up with vintage TVs! We rented a 3 foot slider to do the very subtle camera moves we wanted for the sequence. 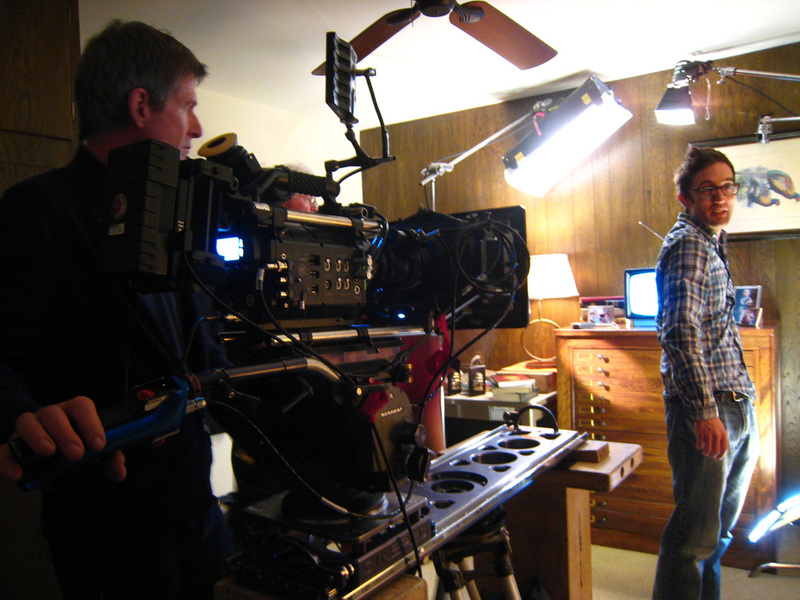 Philip Holahan, our DP, operates the camera. Our first shoot was in a private home. What a fantastic house it was to shoot in! It was 3 stories, and each room had a different feel, allowing us to shoot multiple setups. It was a tough day since we had some issues with our compact flash cards on the RED (until Gareth figured out RED Undead). We ended up getting 6 or 7 setups that day. 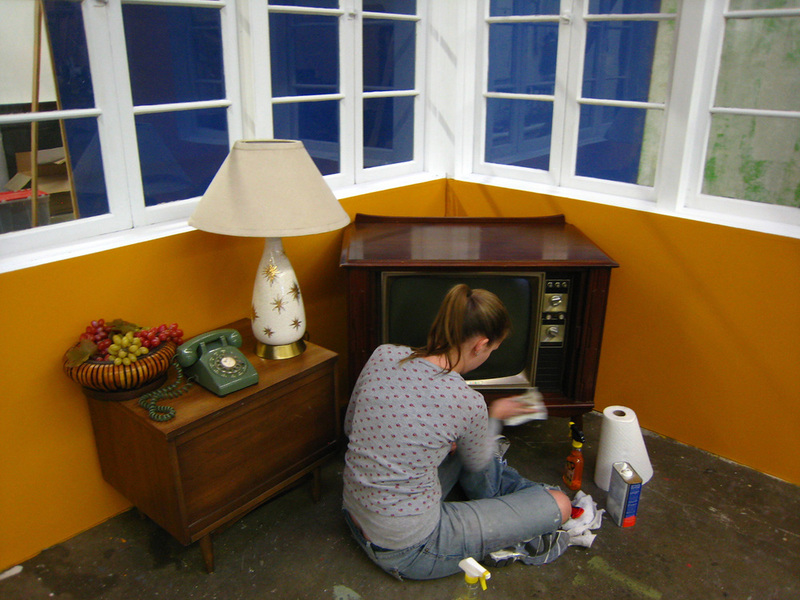 Jenny prepares the vintage televisions for their close-ups. Nathan prepared most of the setups on the soundstage in advance. 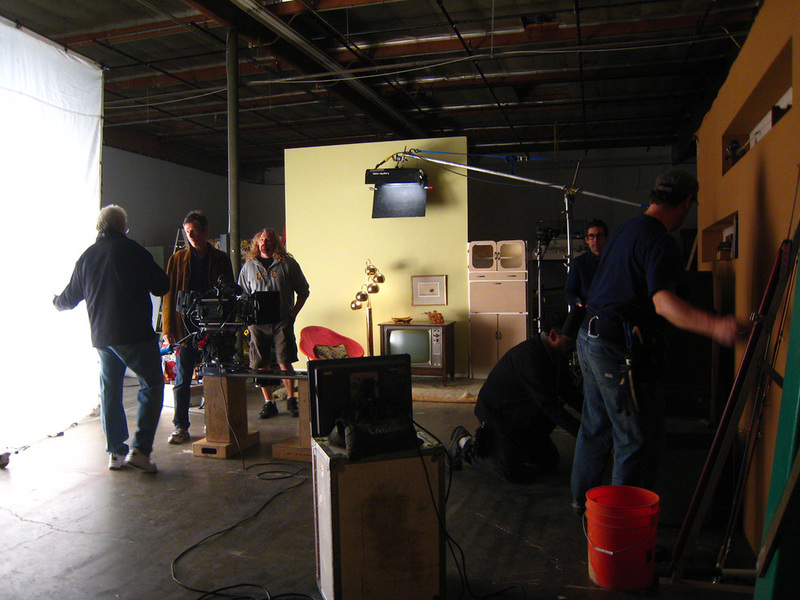 Shooting on a soundstage helped us to be more efficient with multiple setups at the same time. While we filmed one setup, the other ones were being dressed and prepped. This allowed us to get around 8 or 9 scenes that day. I grew up in Auburn, and know the area quite well. It's a small town and film permitting there is easier to do than in LA. We were on a budget, so setting up ambitious exterior shoots in Los Angeles seemed cost prohibitive. We ended up shooting a total of 3 nights in Auburn. 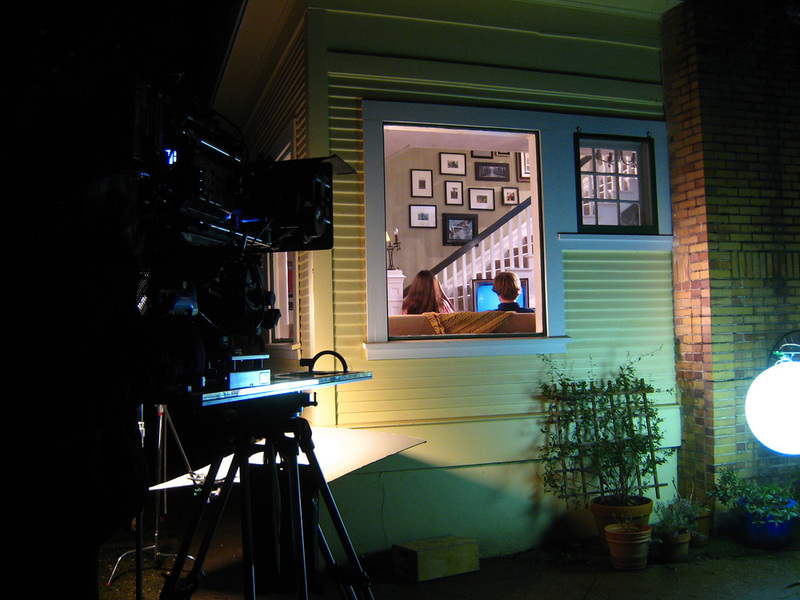 We shot one night at a home that had a variety of looks to work with, and two nights shooting exterior shots of homes. It was the middle of February, and we were greatly concerned about the weather. It had snowed the night before our first shoot, but the skies cleared up the next day and gave us crisp, freezing winter air instead. 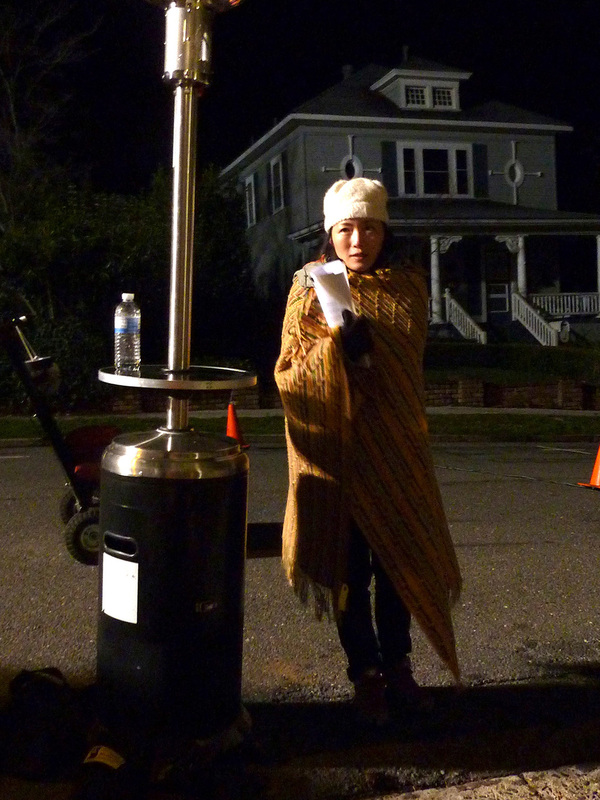 It was around 20 degrees during our night shoots. The adrenaline of the shoot kept me warm though!